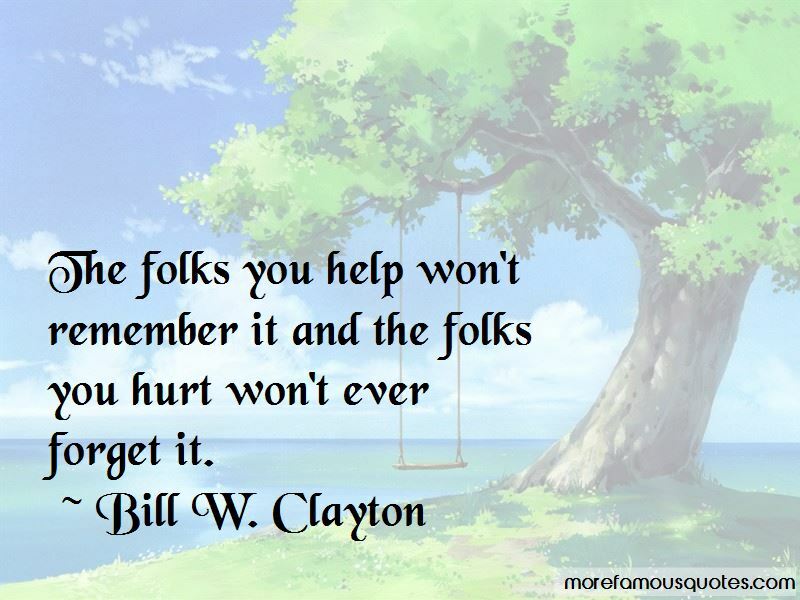 Enjoy the top 2 famous quotes, sayings and quotations by Bill W. Clayton. 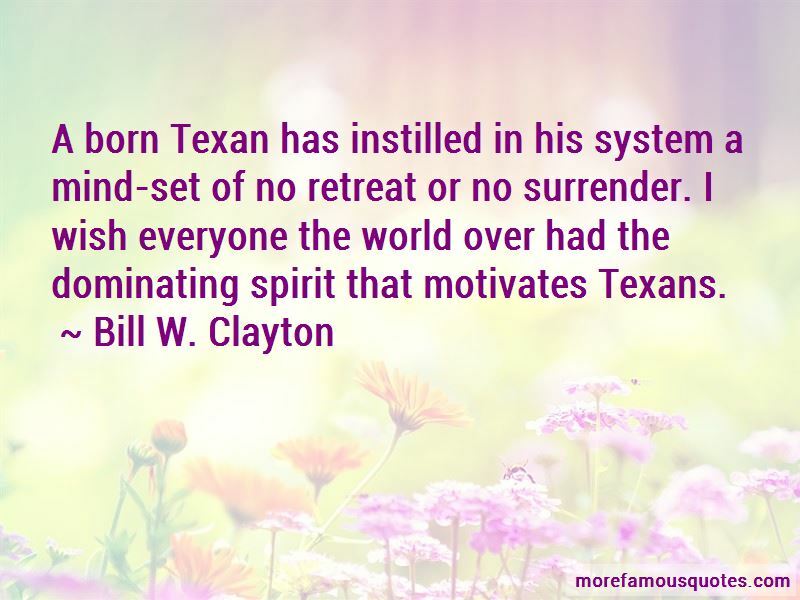 A born Texan has instilled in his system a mind-set of no retreat or no surrender. I wish everyone the world over had the dominating spirit that motivates Texans. Want to see more pictures of Bill W. Clayton quotes? Click on image of Bill W. Clayton quotes to view full size.